Auptima Press offers guides and resources for autistic individuals and those who support them. Our goal is to provide high-quality resources from an ActuallyAutistic point of view, to help those on the spectrum have happier, more independent lives. 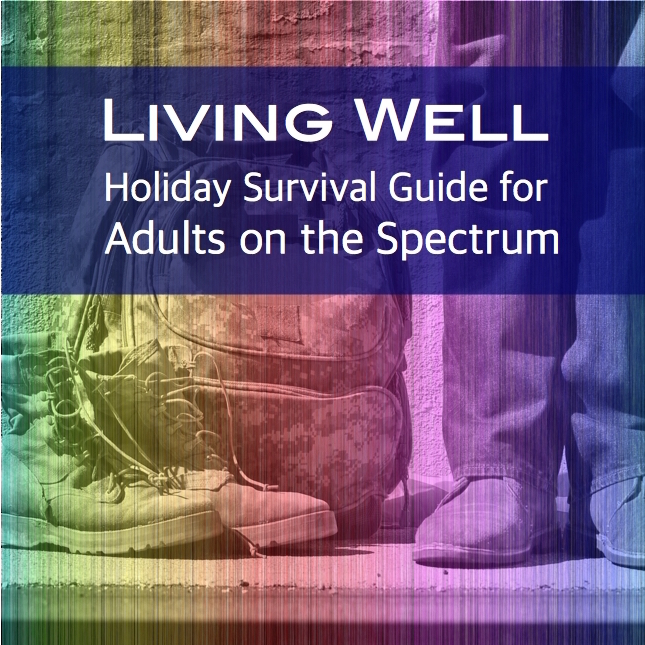 Check out our Living Well Holiday Survival Guide for Adults on the Autism Spectrum. The Holiday Survival Autistic Stress Gauge, an interactive tool to help you determine the impact that specific activities and situations have on you so that you can make healthy decisions about your holiday activities. We don’t always realize how stressful and exhausting things can be and the Stress Gauge helps you recognize what is most challenging for you. Extensive online help in the tool answers your questions about the Stress Gauge and offers a variety of worksheets that you can use to develop new coping skills and try out new tips to make your life easier. This Living Well Blog is full of vignettes – stories of body, mind, spirit, and heart to connect you with our shared autistic experience and help you find your place in the autistic community. You’ll also find a more in-depth discussion of specific strategies to help you learn from others, so you can make the most of your holiday season. There is also room in the comment section for you to share with other autistics about your particular challenges and what you have found works for you.